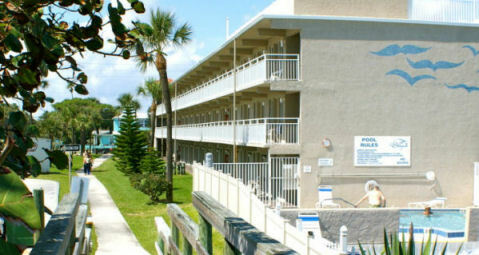 Buy a 7 Night Stay in a 1 Bedroom Suite at the Seagull Beach Club Resort in Cocoa Beach, Florida! 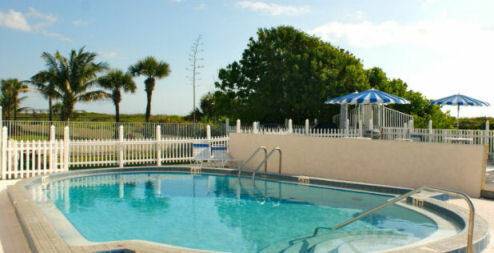 Seagull Beach Club Resort in Cocoa Beach, Florida - Buy a 7 Night Stay in a 1 Bedroom Suite! 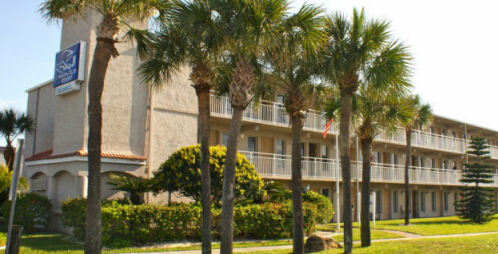 Enjoy 7 Nights in a 1 Bedroom Suite at the Seagull Beach Club Resort in Cocoa Beach, Florida! Seagull Beach Club, an oceanfront resort, provides an excellent vacation base, with approximately a one-hour drive to Central Florida's attractions and about 30 minutes to Kennedy Space Center. The property is located half a mile (.8 kilometers) south of Cocoa Beach Pier and within walking distance of Ron Jon Surf Shop. There are eight golf courses in the surrounding area. Resort amenities include complimentary VHS and DVD movies, cable television, heated pool and poolside grills, along with golf clubs and fishing poles to borrow. 1 Bedroom Suite: Sleeps up to 4 with a full kitchen. 1 Queen Bed and 1 Murphy Bed. 2 Bedroom Suite: Sleeps up to 4 with a full kitchen. 1 Queen Murphy Bed and 2 Single Beds in the second bedroom.